Having trouble finding the right home in today's market? FHA loans are great for First Buyer Home buyers. 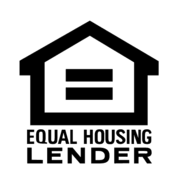 Low down payment and generous credit score requirements make this loan program popular. VA loans provide great solutions for our countries heroes. With no down payment required and higher loan limits than FHA, our Veterans have a great opportunity to build the home they have been looking for. USDA loans offer true 100% financing for first time home buyers. With cheaper mortgage insurance than FHA, USDA loans provide a low monthly payment.